A funeral Mass for Mission Helper of the Sacred Heart Sister Marie Timmerman was offered Aug. 12 at Mission Heart Helpers of the Sacred Heart Chapel in Towson. 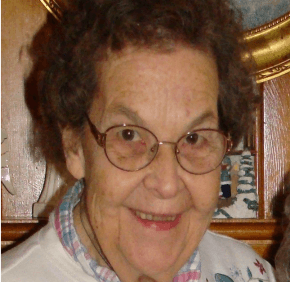 Sister Marie died Aug. 7. She was 90. Born and raised in Baltimore, Sister Marie was a graduate of Seton High School and a parishioner of St. Bernardine, both in Baltimore. She earned a bachelor’s degree in sociology from Loyola University Maryland and a master’s in religious education from the University of the State of New York through the Maryknoll Seminary. In her many missions throughout the U.S., she taught religion and trained catechists. She also had teaching ministries in Puerto Rico and Venezuela, where she spent five years at the Mission Helpers mission in rural Manzanita. Sister Marie, a Mission Helper for 72 years, is survived by her brother, Trappist Father Thomas Francis Smith of the Order of Cistercians of the Strict Observance. She was predeceased by her sister, Mission Helper of the Sacred Heart Sister Margaret Timmerman.